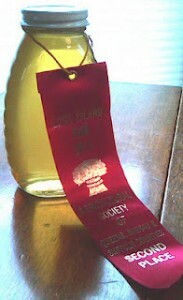 I am coming up on my first anniversary of beekeeping in Montauk. I started by taking a weekly, 8-month course at the Cornell Cooperative Extension in Riverhead. (This same course is now being offered at South Fork Natural History Museum in Bridgehampton.) Through the class, I purchased 2 hive set-ups and 2 young colonies of bees. By the end of this first calendar year, my 2 hives have grown to 3. Besides the obvious benefit of beekeeping — namely my own organic, local honey — there has been a more subtle upside: Keeping bees has given me a new lens through which to observe and appreciate the natural world. Never have I taken such a personal interest in the weather, for instance. Now, I watch precipitation and temperature patterns like a hawk: Too little rain means that nectar dries up, bees can’t feed and colonies can die if their diet isn’t supplemented; too much rain and the bees can’t leave the hive to forage, which leads to other potential complications. One of the side effects of beekeeping is my new obsession with flowering plants. I’ve always loved flowers, but now I find myself planting ‘gifts’ for the bees all over my property. This winter, suspecting that the warm winter would mean that the bees would be flying earlier in the year than usual, I planted an Arnold’s Promise witch hazel at the back of the bee yard. It’s one of the earliest of our flowering shrubs and I was thrilled when its yellow frilly tassels started to unfurl in February. The bonus is its elegant, sweet fragrance. And it’s not just the choice nursery plants that get my attention. I’m giving “weeds” a second look. When sunny dandelion faces start punctuating neighborhood lawns, I know that the abundant foraging opportunity they offer will soon spur the queen bees into an egg-laying frenzy. This, in turn, will build up the number of workers and ready the colony to take advantage of the nectar flow that will follow and, with luck, another bumper crop of honey for the bees and me to enjoy! 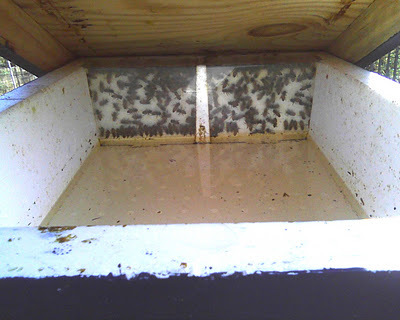 If you are interested in beekeeping, you can follow my first year’s experiences through my blog, MTK Buzz. Congrats on your first year of beekeeping! Glad to hear that you are doing well. Hope your next year is even better! Just a note to say hello from an “upstate” beekeeper. I’m the Treasurer for the Ulster County Beekeepers Assoc. and have been vacationing in Montauk for many years. I just knew that there had to be apiarists in Montauk! I love and care for my 8 hives in the small village of Wallkill, NY.